WARREN COUNTY, Ohio, March 23, 2011 — In what the trial judge labeled the largest civil trial in the history of the Warren County, Ohio, Court of Common Pleas, an eight-member Ohio jury returned a verdict in favor of Yamaha and its dealer on March 21, 2011 in a case involving the death of a ten-year-old girl who was ejected from a Yamaha Rhino in a rollover crash. Estate of Ellen Sand, c/o John C. Sand, Administrator, John Sand and Tammie Sand vs. Yamaha Motor Corporation, U.S.A., Yamaha Motor Manufacturing Corporation of America, Clinton County Motor Sports, and Let It Gro, LLC, Warren County Court of Common Pleas for the State of Ohio, Case No. 10CV76399, Judge James L. Flannery presiding. Plaintiffs, who sought $20 million in compensatory and punitive damages, alleged that defects in the 2007 Rhino 660 caused the vehicle to overturn, resulting in a fatal head injury to the front seat passenger, Ellie Sand. Plaintiffs claimed that the Rhino lacked adequate stability, a throttle limiting device, and occupant protection features such as doors and different handholds. Additionally, plaintiffs claimed that the warnings provided with the Rhino were insufficient, and that Yamaha made misrepresentations in its marketing and advertising of the Rhino. Yamaha defended its design, warnings and representations concerning the safe use of the Rhino, and contended that the crash and the decedent’s death were caused by reckless operation by an inexperienced 21-year-old driver who attempted to perform a high speed “fishtail” stunt maneuver in a dark, muddy cornfield with four unbelted and unhelmeted child passengers in the two-person vehicle. Yamaha’s crash reconstruction established that the driver’s high speed turning maneuver caused the Rhino’s tires to furrow into the muddy field, tripping the vehicle and ejecting Ellie Sand, who was not wearing a seat belt. While it was undisputed by the parties that the decedent was not wearing a helmet and that her fatal head injury occurred when the roll cage landed on her head, plaintiffs claimed that she was wearing a seatbelt at the time of the crash. Additionally, plaintiffs denied that the crash occurred at high speed, instead contending that the vehicle rolled over at a speed as low as 11 mph. Plaintiff’s evidence focused on Yamaha’s interactions with the Consumer Product Safety Commission (“CPSC”), Yamaha’s voluntary side panel door offer in August 2007, and a March 2009 free repair program undertaken voluntarily by Yamaha in cooperation with the CPSC. As a result of pretrial rulings by the trial judge, the jury did not learn that the CPSC never made an agency finding of a defect in the Rhino and never learned that Yamaha’s voluntary repair campaign was not a recall despite factually incorrect references by plaintiffs’ counsel that the Rhino was recalled. 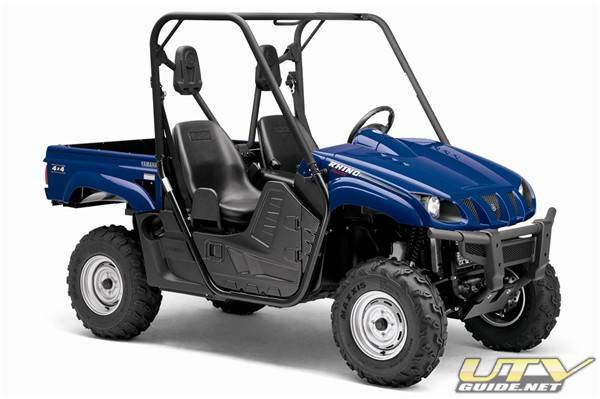 Yamaha defended the Rhino as a safe and defect free vehicle sold with appropriate warnings and instructions that, if followed, would have prevented plaintiffs’ incident. After a three week trial involving testimony from 41 witnesses, the jury returned a complete defense verdict in favor of Yamaha, its dealer who sold the vehicle and one of the vehicle’s co-owners who was also a defendant. In rejecting plaintiffs’ claims against Yamaha, the jury also found that decedent’s death was proximately caused by the negligence of the driver, the decedent’s parents and the hosts of the party at which the incident occurred. Plaintiffs’ witnesses included accident reconstruction expert Ronald Carr from San Diego, California; handling and stability expert Michael Burleson from Tyler, Texas; handling and stability expert Alex Roberts from Farmington, Arkansas; vehicle test riding expert, Randy Nelson from San Diego, California; human factors expert Ed Karnes from Morrison, Colorado; an emergency room physician, Stephen Perez, M.D., from Cincinnati, Ohio; and CPSC expert Catherine Downs from Herndon, Virginia. Yamaha’s witnesses included accident reconstructionist and design engineering expert Kevin Breen from Fort Myers, Florida; human factors engineer Dr. Alan Dorris from Atlanta, Georgia; biomechanic Dr. Harry Smith from San Antonio, Texas; and statistician and risk analysis expert Dr. Rose Ray from Menlo Park, California. Plaintiffs were represented by Michael Roberts and Kent Wellington from the law firm of Graydon, Head and Ritchey LLP. The Yamaha defendants were represented by their lead counsel, Paul Cereghini of Bowman and Brooke in Phoenix, Arizona, as well as Jeffrey Warren of Bowman and Brooke in Phoenix, Arizona, and Terrance Miller of the law firm of Porter Wright Morris and Arthur LLP in Columbus, Ohio. Trial counsel were also assisted at trial by Nicole Buitrago of the Yamaha Motor Corporation, U.S.A. Legal Department. Monster Energy Kawasaki/Team Funco chooses UTVUnderground.com for capturing the moment!